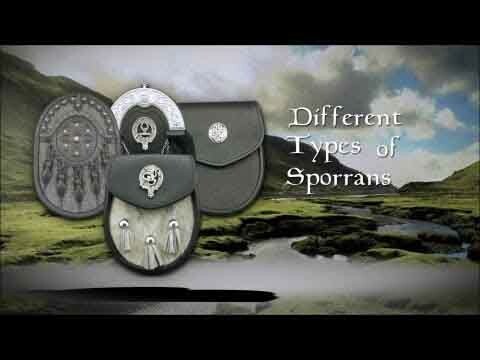 This simple black hunting sporran is made in Scotland. It has no tassels, but does come with 5 raised leather 'leaves' and an intricate circular design. It also comes with a sporran chain to fit the waist measurement provided. 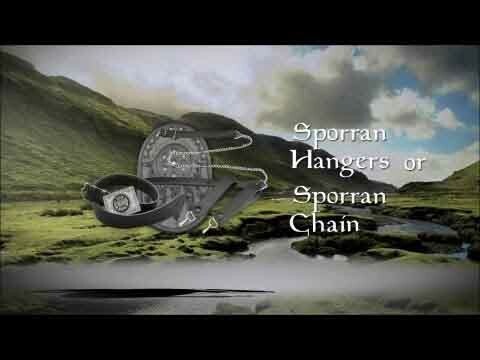 This was my first sporran. I was looking for a day/semi formal sporran. I couldn't begin to count how many I looked at online until I decided to settle for this one.